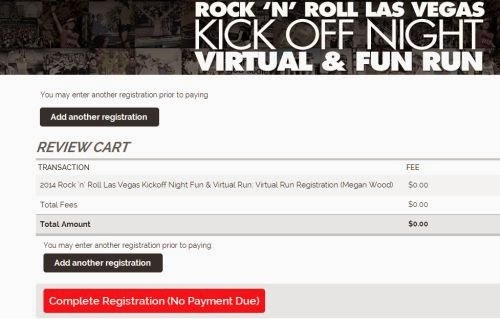 When a major national race series announces a fun run through multiple cities in the US along with a virtual fun run, a race shirt (for virtual runners: only the first 2,500 entrants receive a shirt) and a spot to be entered to win an entry to Rock ‘n’ Roll Las Vegas in 2014.....one can only think, what is the cost and how do I sign up? That's right, I said free. 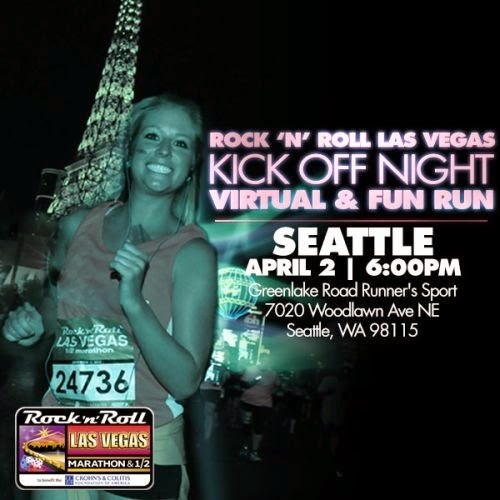 Rock n Roll Marathon series is hosting the Rock ‘n’ Roll Las Vegas Kick Off 5K on April 2nd. There are two different ways to participate in this event, a city hosted run and a virtual run. (PS Tampa, I have already put out the plea to have us as a hosted city in 2015 for this event - with your support by commenting on this post, we have a better chance of this being possible). One entry will be given via raffle at each Hosted Run and selected by random for all Virtual Run entrants. All winners will be notified on or before April 3. **Limited to first 2,500 participants. All shirts will be mailed 2- 4 weeks after the event. Thanks for posting this! I just signed up for the virtual race!! Thanks for sharing! I signed up. This would be a way for them to keep St Pete in their loop! Just registered for the virtual! And I agree with Raffi about St. Pete!